Every one can benefit from a sports massage treatment, not only sports people and athletes. The sports massage routine is tailor made for your own physical needs and a full postural inspection, functional assessment & ROM mobility check will be done to gauge these needs, an existing injury and health requirements - prior to the sports massage treatment. Obviously, sports massage can easily be integrated into any type of sports activity, as a pre or post sports event, for general sports maintenance or rehabilitation from a muscular or sports injury. Depending on your needs, we shall combine trigger point sports therapy, deep tissue sports massage, soft tissue massage and myofascial release techniques - where needed. Bursitis, Fibromyalgia , Hip Pain, Sports Injury & Workplace injuries and more! CNHC is a government sponsored registration body for complementary healthcare practitioners. The Department of Health advises all GPs to direct patients seeking Massage Therapy to seek out only CNHC (the Complementary & Natural Healthcare Council) registered massage therapists. Sports massage is accepted by Health Shield and Westfield Health - please see their TCs. Guidelines published by the National Institute for Health and Clinical Excellence (NICE) in 2009 recommends that patients with persistant, non-specific lower back pain have access to a choice of different treatments, including sports massage. The NICE guidelines state that "The effect of massage in patients with chronic lower back pain lasted at least a year after the end of treatment". It went on in s1.4.1 to advise GPs to "consider offering a course of manual therapy, including sports massage, comprising up to a maximum of nine sessions over a period of up to 12 weeks". The research went on to include chronic neck pain, migraine and cervicogenic headache. Sports massage has long been accepted by the Cardiff and Vale NHS for reducing stress and anxiety. Sports massage readily lends itself to the introduction of a tailor made and specialised aromatherapy oils or herbal compresses that can vastly increase muscular relaxation during and after the sports massage session.. The use of Hot Stone massage, in conjunction with an aromatherapy blend can deeply ease muscular tension while paving the way for a more effective and successful deep tissue neuro-muscular massage manipulations. Who can benefit from Sports massage in Cardiff? World Class - Olympic standard.. I've visited City Marshall several times. Having ran in two Olympic Games and having a silver medal in one I'd say I've got some very credible knowledge and experience in world class massage therapy. I've had some of the best therapists in the world treat me in the past and I must say that Philip at City Marshall is one of the best therapists I've ever had. You get what you pay for and that's Olympic standard.... The best! I look forward to visiting again soon! Trigger point therapy. Phillip has really helped me with the upper back tension I have been dealing with since an L4-L5 microdiscectomy in May 2013. I had suffered with severe sciatica for over 2 years and this has resulted with a whole mess of problems in my upper back since. I am a 26 year old male and I have had 5 x 1 hour sessions with him, mainly concentrating on trigger point therapy. It has been brilliant and I am feeling that I am in less pain and more comfort. Very welcoming and friendly relaxing atmosphere. The price is justified for the quality of the therapy and for me has been worth it. Phillip is a genuine therapist who really listens and cares and he by far outstands from any therapy I have had in the past. Fantastic massage. After reading so many different good reviews I decided to try a massage at City Marshall, Cardiff and was not disappointed! I had hip and shoulder problems and had seen various therapists in the past. Phillip took his time during the consultation to find out which areas were causing problems and I was particularly impressed with his broad knowledge of complimentary therapies/diet/nutrition/sport injuries/stretches. I attended for a course of sports massage treatments for a long term injury. Philip is extremely knowledgeable and gives plenty of helpful advice. The treatments he carried out for me were exemplary, both massage and stretches. I have attended a few different sports therapists in the past and can confidently recommend that City Marshall is the best. Went with an ongoing back issue. Had the best massage therapy I've ever experienced and problem solved. Will definitely go again and recommend to anyone. Maybe a little more expensive than some retail masseurs but you get what you pay for. And for a comparative service and result it's very reasonable. 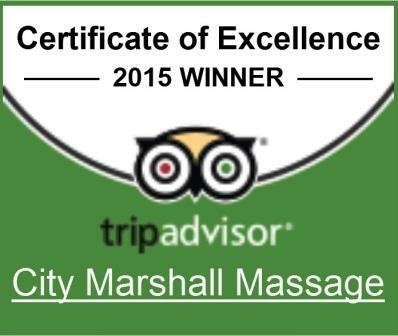 There's a reason why City Marshall is an award winning practice and voted number one in the UK! From the outset you are made to feel welcome, comfortable and relaxed. Philip will take the time to discuss your problem and explain exactly what therapies are available. You are then able to choose from a wide variety of oils that are infused to create your own unique blend. As with many of the reviews, I have visited many Physiotherapist and Chiropractors over the years with limited results. Philip's professional approach and expertise hit the spot on the first visit. He's also very generous with his time and advice. I will be returning for regular top-ups. 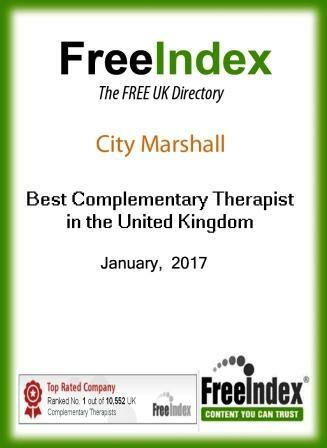 Whether you are suffering from pain, want to keep everything in check or simply want to fully relax, I can highly recommend City Marshall. 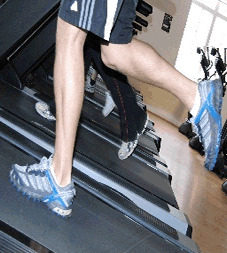 I first attended when suffering from pains in my leg when running. Philip cured me via sports massage but also used acupressure when needed. Philip is an exceptional sports massage therapist. I visited him for lower back pain and sore muscles. He pin-pointed the problem and has eased the pain. I will continue to visit him regularly and I have already recommended him to family and friends. He provided a friendly and professional atmosphere and gave additional tips such as exercises and other treatments to ease the pain and tension. I came in for a sports massage to recover after the Cardiff 10k run. It was my first visit, but I'll be back soon. 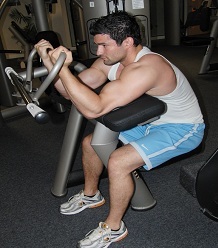 He really focused on my leg muscles to release the tension which helped my legs to recover quicker. He was very helpful and knowledgeable. He even showed me some exercises and gave me some tips to limit the soreness factor. I definitely recommend him to everyone. He is exceptional - I’ve had lower back pain for years. It is suddenly wonderful to be out of pain! The best ever! Philip's ability to combine his physiotherapy skills in massage and knowledge with his fantastic reflexology therapeutic abilities is outstanding. 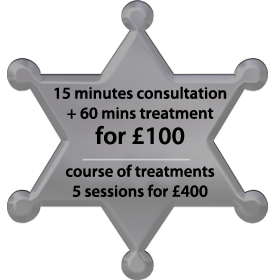 The best therapist in Cardiff – and I have certainly seen a fair few of them. Very knowledgeable giving explanations to the sports massage techniques and giving advice on how you could "correct" yourself on things like posture and sitting position. I would highly recommend a sports massage to anyone. I'm a professional dancer on tour here in Cardiff. I had been suffering with a trapped nerve for 2 months and had treatment by 2 physio's in London. Didn't help me at all. However after a one hour Sports massage treatment with Philip it's completely gone... Really wonderful. … after even the first sports massage session, it was obvious that my back had dramatically improved. After a few more massage sessions, my back was almost as good as new. Phil's extensive knowledge and helpful advice have been phenomenal. The sports massage treatment really helped unwind and treat areas which needed much attention […] He certainly knows how to address individual needs. As a chronic back pain sufferer I have seen many massage therapists over the past 10 years and I can say Philip has been one of the best so far. … very knowledgeable and experienced in the sports massage field. He took the time to listen and address the reason for the visit, identify any underlying problems and was holistic in his approach. 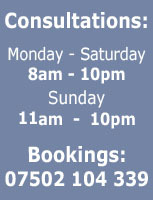 If you live in the Cardiff area and need a sports massage treatment, look no further. The treatment was explained in detail to me before we started, and I was kept in the loop of all decisions made during the sports massage treatment. I walked in sore as anything and walked out feeling like a new man! The sports massage really helped out with problems that I've had with my back. It's also really informative as he lets you know what the issues are, why they are issues and how they are being resolved. Why is Sports massage different to a Swedish massage? A Swedish massage is generally more soothing, with less attention paid to detailed deep tissue manipulation. A Sports massage treatment is especially good for those with specific injuries, postural problems and specific physiological conditions that need to be addressed through a specific therapeutic sports massage. Sports massage pays special attention to the physiological and anatomical outline of your muscular tissue and any necessary repair and corrective work as well as deep tissue massage manipulation is specifically designed to restore the muscle tissue to its correct structure.